Flying fish can make powerful, self-propelled leaps out of water into air, where their long, wing-like fins enable gliding flight for considerable distances. It appears these flying fish are in a no win situation, picked off above the surface by frigatebird's and devoured underwater by the dorado. These amazing bottlenose dolphins have adopted a unique way of hunting fish. Taking advantage of the low tide, these super smart mammals are able to beach themselves on mud banks, and attack in perfect synchrony. We track a hungry but determined polar bear as it seeks to ambush a plump seal. With the odds stacked against it, this scrawny looking bear will need to pull off an amazing manoeuvre if it's to get a well earned meal. Epic footage of one of Earth's most feared predators, the great white shark. Each dawn, cape fur seals leave their colony to go fishing. To reach the open sea they must cross a narrow strip of water which is patrolled by the largest predatory fish on the Planet. A bathymetry flyover video showing the Phase One data collected across the whole MH370 search area. Released by Geoscience Australia in July 2017. Detailed sea-floor maps made during the unsuccessful search for missing Malaysia Airlines Flight MH370, released by Australia on Wednesday, could help increase the knowledge of rich fisheries and the prehistoric movement of the earth's southern continents. The Indian Ocean search ended in January after covering a lonely stretch of open water where under-sea mountains larger than Mount Everest rise and a rift valley dotted with subsea volcanoes runs for hundreds of kilometers. The whereabouts of the plane, which vanished in March 2014 en route to Beijing from Kuala Lumpur with 239 people on board, remains one of the world's greatest aviation mysteries. After Flight MH370 disappeared in the Southern Ocean, Fugro was invited to help find the lost plane in a remote area covering 120,000 square kilometres in very challenging conditions. Deploying specialist vessels, a multinational specialist crew and state-of-the-art technology, Fugro produced 3D terrain and texture maps and used deep tow sonar vehicles and AUVs to search for the wreckage. The seafloor across the entire search area was mapped to a high level of accuracy and it became clear that flight MH370 had gone down elsewhere. However, information gathered during painstaking surveys of some 120,000 sq km (46,000 sq miles) of the remote waters west of Australia should provide fishermen, oceanographers and geologists insight into the region in unprecedented detail, said Charitha Pattiaratchi, professor of coastal oceanography at the University of Western Australia. "There are the locations of seamounts which will attract a lot of international deep sea fishermen to the area," Pattiaratchi told Reuters by phone. High-priced fish such as tuna, toothfish, orange roughy, alfonsino and trevally are known to gather near the seamounts, where plankton swirl in the currents. Pattiaratchi said the location of seamounts would also help model the impact of tsunamis, given undersea mountains help dissipate their destructive energy, and potentially change our understanding of the break-up of the ancient supercontinent of Gondwana. The data consists of three-dimensional models of undersea landforms as well as raw bathymetric survey information and drift analysis. It was published online by Geoscience Australia on Wednesday, with a further tranche due to be published next year. An undated supplied image from Geoscience Australia shows a computer generated three-dimensional view of the sea floor obtained from mapping data collected during the first phase of the search for missing Malaysia Airlines flight MH370. "To see this work come out of that tragedy that was MH370 is really quite astounding, they've taken it to a new level," said Martin Exel, a commercial deep-sea fisherman at Austral Fisheries who has fished in the area. "From a fishing perspective it would be valuable information - they've found whale bones and cables and a drum, it is incredible the resolution," he said, referring to the data. But the expense and difficulty of operating in such remote high seas made a rush to fill nets in the area unlikely, he said. 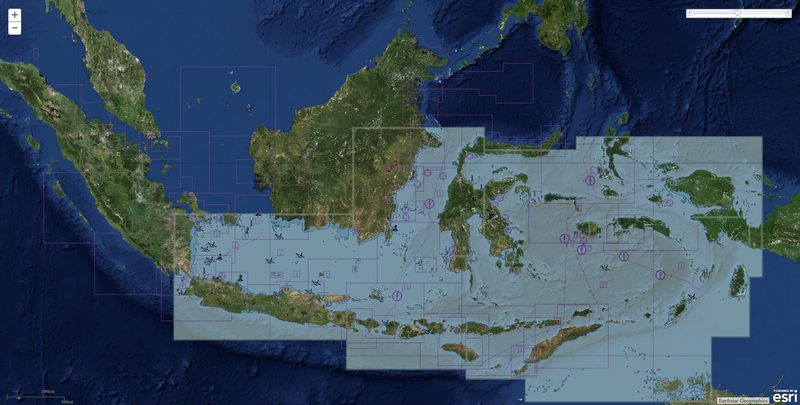 An undated supplied image from Geoscience Australia shows a map view of the sea floor obtained from mapping data collected during the first phase of the search for missing Malaysia Airlines flight MH370. Stuart Minchin, chief of Geoscience Australia's environmental geoscience division, said the remote search area was now among the most thoroughly mapped regions of the deep ocean on the planet. "It is estimated that only 10 to 15 percent of the world's oceans have been surveyed with the kind of technology used in the search for MH370," Minchin said. Investigators believe someone may have deliberately switched off MH370's transponder before diverting it thousands of miles off course, out over the Indian Ocean. Various pieces of debris have been collected from Indian Ocean islands and Africa's east coast and at least three of them have been confirmed as coming from the missing Boeing 777. Australia has not ruled out resuming the search for the airliner but has said that would depend on finding "credible new evidence" about the plane's whereabouts. "No new information has been discovered to determine the specific location of the aircraft and the underwater search remains suspended," Transport Minister Darren Chester said in a statement. An apparent mass and blatant, GPS spoofing attack involving over 20 vessels in the Black Sea last month has navigation experts and maritime executives scratching their heads. A maritime incident has been reported in the Black Sea in the vicinity of position 44-15.7N, 037-32.9E on June 22, 2017 at 0710 GMT. This incident has not been confirmed. The nature of the incident is reported as GPS interference. Exercise caution when transiting this area. But the backstory is way more interesting and disturbing. 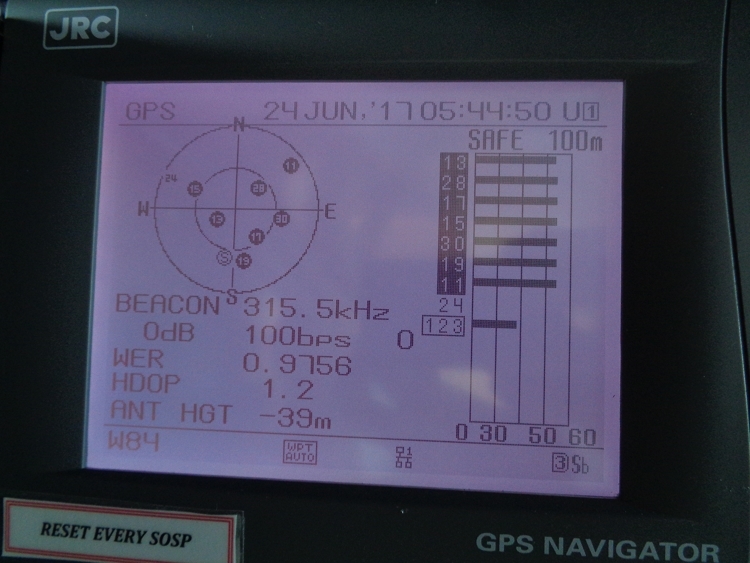 GPS equipment unable to obtain GPS signal intermittently since nearing coast of Novorossiysk, Russia. After confirming that there were no anomalies with GPS signals, space weather or tests on-going, the Coast Guard advised the master that GPS accuracy in his area should be three meters and advised him to check his software updates. Thank you for your below answer, nevertheless I confirm my GPS equipment is fine. We run self test few times and all is working good. I confirm all ships in the area (more than 20 ships) have the same problem. I personally contacted three of them via VHF, they confirmed the same. Sometimes, position is correct, sometimes is not. 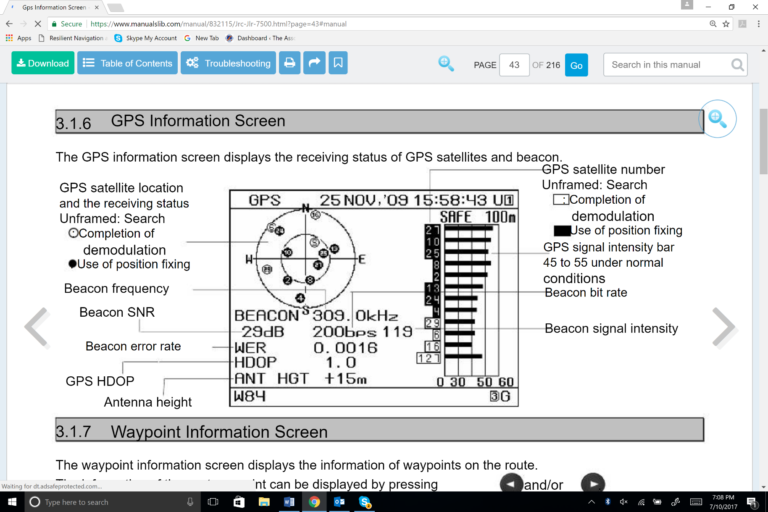 GPS sometimes looses position or displays inaccurate position (high HDOP). 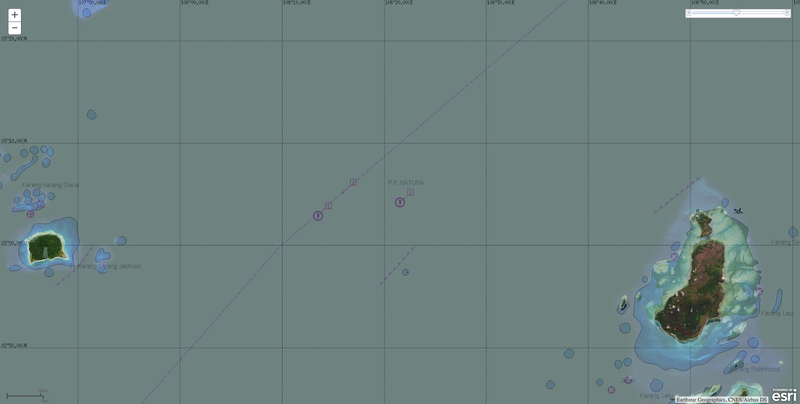 For few days, GPS gave a position inland (near Gelendyhik aiport) but vessel was actually drifting more than 25 NM from it. 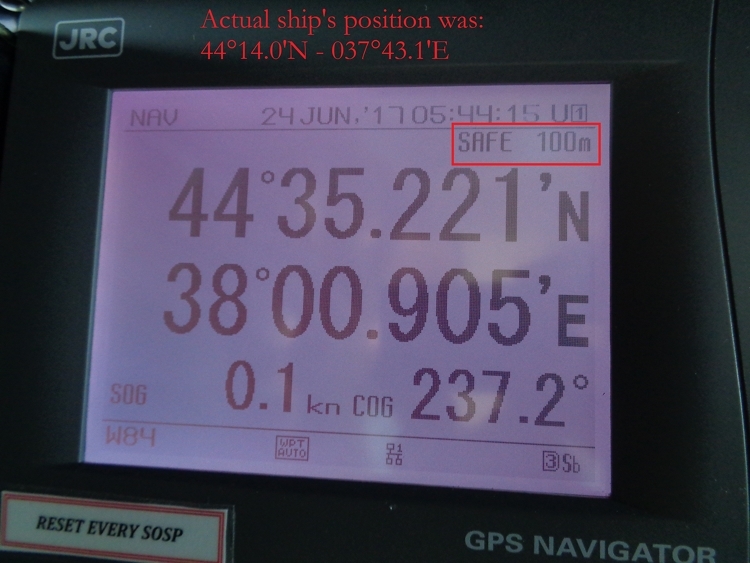 Important: at that time, GPS system considered the position as “Safe within 100m”. Then last night, position was correct despite several “lost GPS fixing position” alarm that raised couples seconds only; then signal was back to normal. Now position is totally wrong again. See attached pictures that I took on 24 June at 05h45 UTC (30 min ago). Note: you can also check websites like MarineTraffic and you will probably notice that once in a while all ships in the area are shifting inland next to each other. 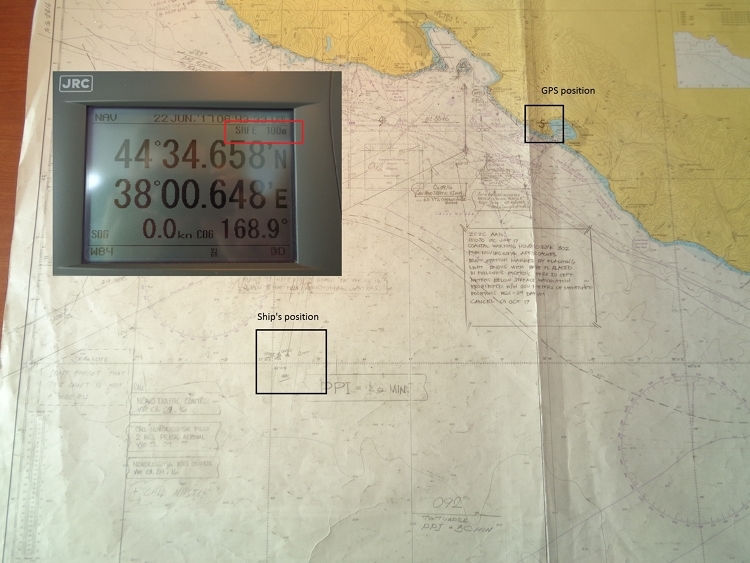 To back up his report, the master sent photos of his navigation displays, a paper chart showing his actual position and GPS-reported position, and his radar display that showed numerous AIS contacts without corresponding radar returns. This has allowed navigation experts to conclude this was a fairly clear, if not subtle, case of “spoofing” or sending false signals to cause a receiver to provide false information. They point to the receiver saying its antenna is 39 meters underwater, that all the GPS satellites it is using have the same high signal strength, and that the WER, or Word Error Rate, is 97 percent (normal is less than 10 percent). 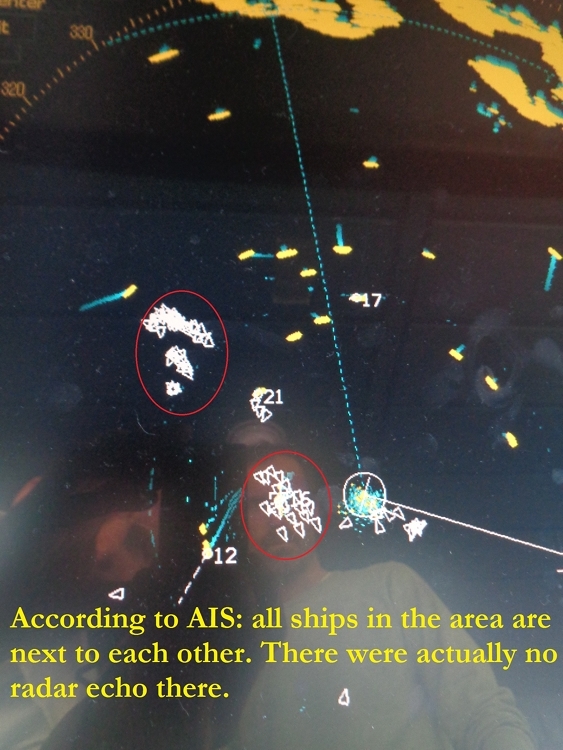 The RNT Foundation has received numerous anecdotal reports of maritime problems with AIS and GPS in Russian waters, though this is the first publicly available, well-document account, of which we are aware. Russia has very advanced capabilities to disrupt GPS. Over 250,000 cell towers in Russia have been equipped with GPS jamming devices as a defense against attack by U.S. missiles. And there have been press reports of Russian GPS jamming in both Moscow and the Ukraine. In fact Russia has boasted that its capabilities “make aircraft carriers useless,” and the U.S. Director of National Intelligence recently issued a report that stated that Russia and others were focusing on improving their capability to jam U.S. satellite systems. Assuming Russia is behind this, why would they do such a thing? Maybe it was to encourage use of the Russian GLONASS satellite navigation system or their terrestrial Loran system, called Chayka, instead of GPS. Perhaps it was for some security reason known only to them. Coast Guard blog : Do you know how to report a GPS disruption? Charting these watery depths could transform oceanography. It could also aid deep sea miners looking for profit. Earth has no shortage of stunning landforms: Mt. Everest rises majestically above the clouds; the Grand Canyon rents deep into desert rock layers; the mountains that make up the Ethiopian Highlands, aka the Roof of Africa, tower above the rest of the continent. But all of these natural icons pale in comparison to the dramatic formations that lie beneath the ocean. Next to the deep sea's mountains and gorges, the Grand Canyon is a mere dimple, Mount Everest a bunny slope and the Highlands an anthill on the horn of Africa. The shape of the ocean floor helps determine weather patterns, when and where tsunamis will strike and management of fisheries that feed millions. And yet we’ve barely begun to understand it. To borrow an analogy from oceanographer Robert Ballard, best known for re-discovering the Titanic: With only 5 percent of the ocean floor mapped, our knowledge of what’s beneath is about as detailed as a set dinner table with a wet blanket thrown over it. You can see the outlines, but how do you tell the candelabra from the turkey? Fortunately, we’re about to whip the blanket off and reveal this aquatic meal in exquisite detail. 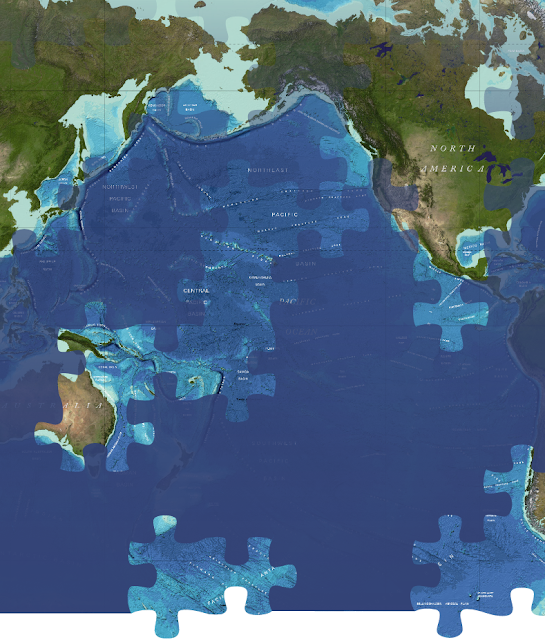 In June, an international team of oceanographers launched the first effort to create a comprehensive map of all the world’s oceans. To map some 140 million square miles of sea floor, the Seabed 2030 project is currently recruiting around 100 ships that will circumscribe the globe for 13 years. 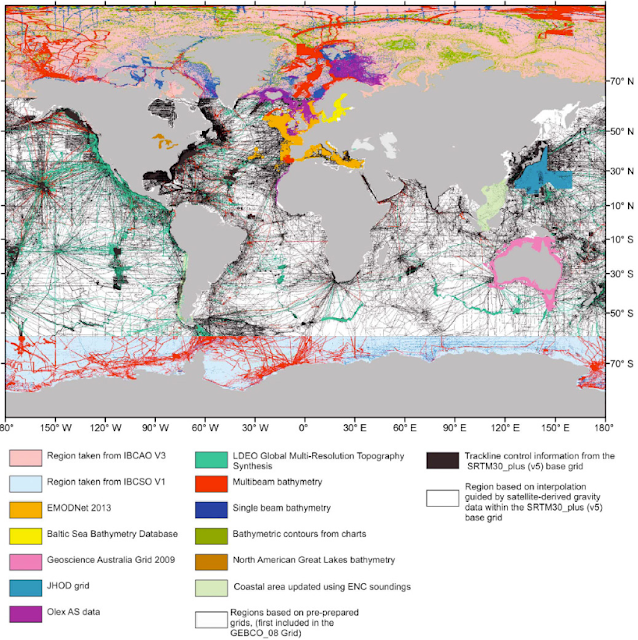 The team, united under the non-profit group General Bathymetric Chart of the Oceans (GEBCO), recently announced it had received $18.5 million dollars from the Nippon Foundation for its efforts. Many oceanographers hail the project as an illumination of a geological and biological world that is long overdue. 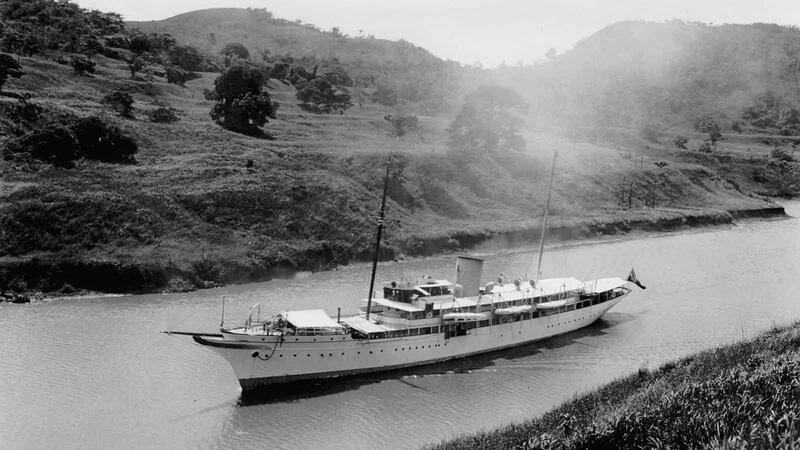 It could also be potentially lifesaving: Even today, the lack of a detailed map can be deadly, as was the case when the USS San Francisco crashed into an uncharted mountain in 2005. “People have been excited about going to different planets,” says Martin Jakobsson, professor of marine geology and geophysics at Stockholm University, but “we haven’t been able to bring the attention to our own Earth in the same way as Mars. Part of GEBCO Sheet B1, from the 1st Edition published 1903. It’s a common sentiment among Earth scientists—often a lament—that we know more about other planets in the solar system than we do our own. Indeed, astronomers have a more complete topographical understanding of the moon, Mars, ex-planet Pluto and the dwarf planet Ceres than we do of the seabed. This is shocking, because the topography of the seafloor plays such a huge role in keeping the planet habitable—a role we need to fully understand in order to predict what the future of our climate holds. 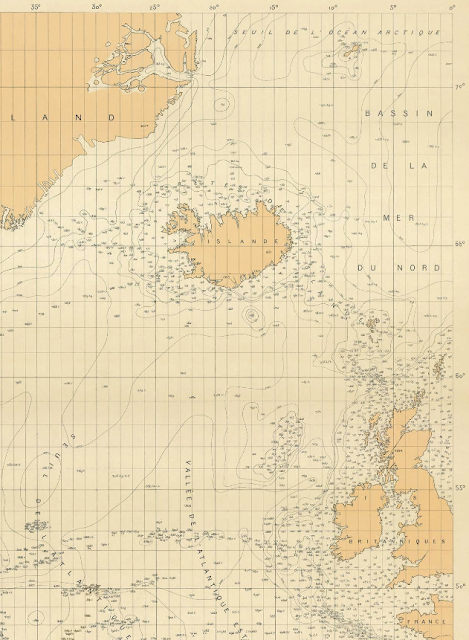 The reason we have no comprehensive map is dumbfoundingly simple, considering that we’ve traversed and charted our solar system: “It’s not so easy to map the ocean, because the water is in the way,” says Jakobsson. The ocean is big, deep and impermeable to the laser altimeter that made mapping our less watery neighbor planets possible. 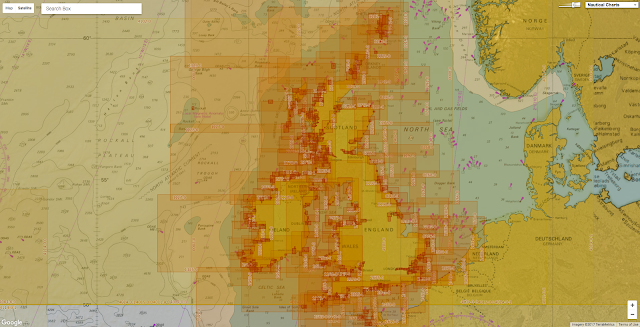 To complete a map of Earth’s ocean floor, you’ve got to take to the high seas by boat. 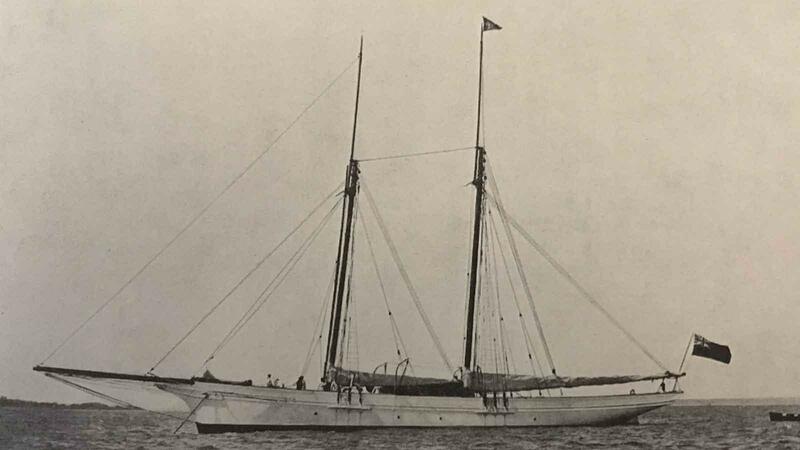 The first oceanographic researchers—like those onboard the H.M.S.Challenger expedition—built sea floor maps by “sounding” with weighted lines lowered to reach the sediment below. 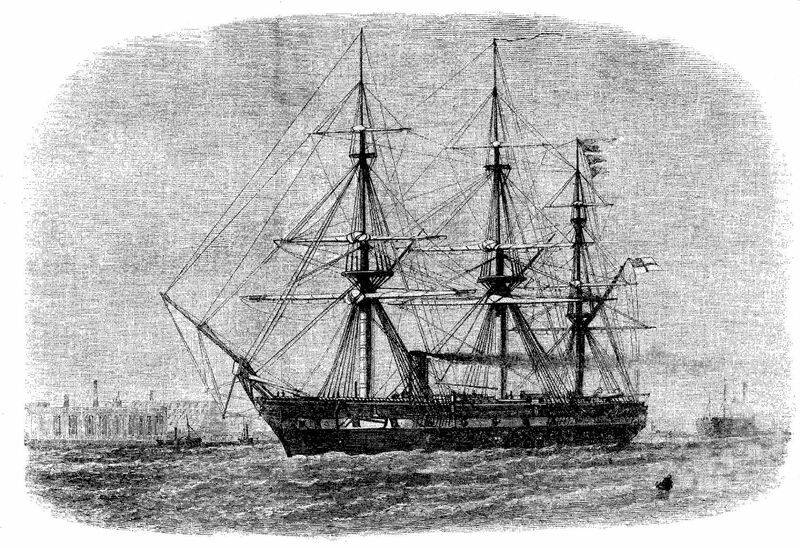 Compiled one data point at a time, this painstaking yet critical undertaking aided navigation and prevented ships from running aground. 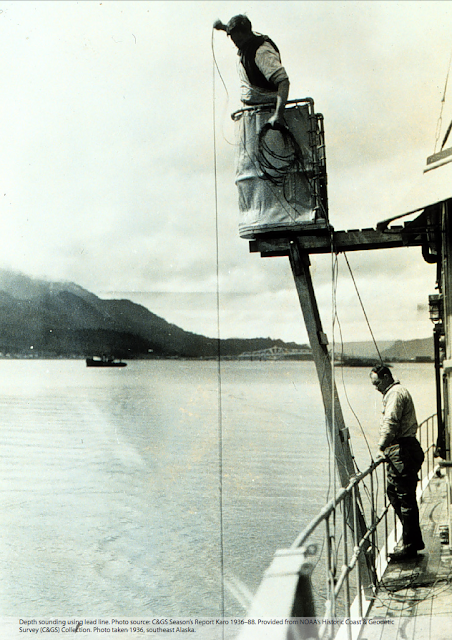 At the same time, it helped satisfy simple scientific curiosity about the depths of the ocean. Thankfully the technology used today has advanced beyond dangling plumb lines over the side of the ship. 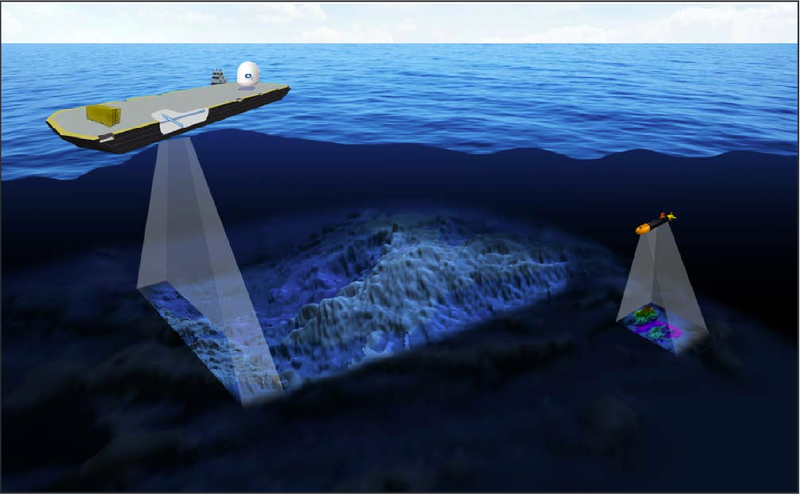 Modern ships like those that will be employed by Seabed 2030 are outfitted with multibeam bathymetry systems. These sensors ping large swaths of ocean floor with sound waves that bounce back, and are analyzed by computers on deck. 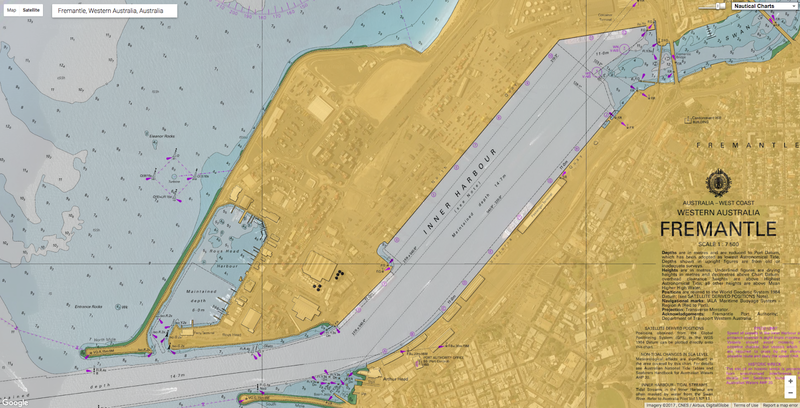 One ship can now provide thousands of square kilometers' worth of high-resolution maps during an expedition. 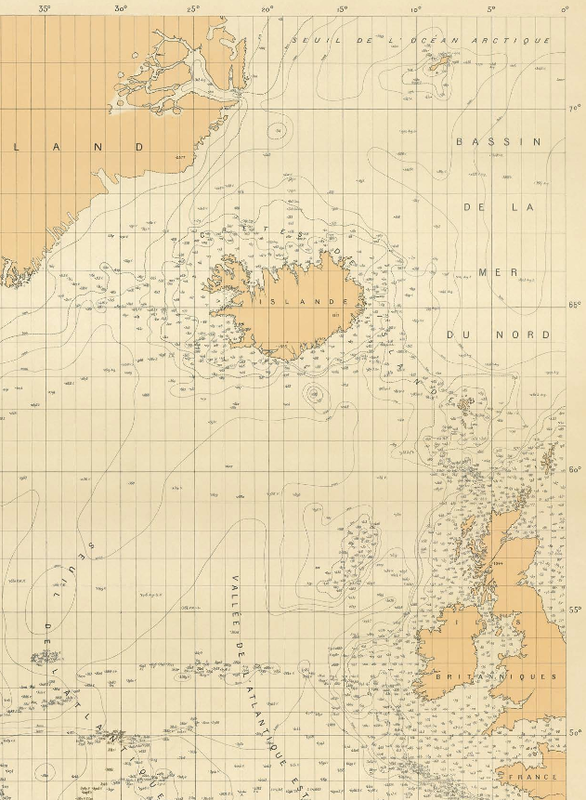 Still, it would take a lone ship approximately 200 years to chart all 139.7 million square miles of ocean. 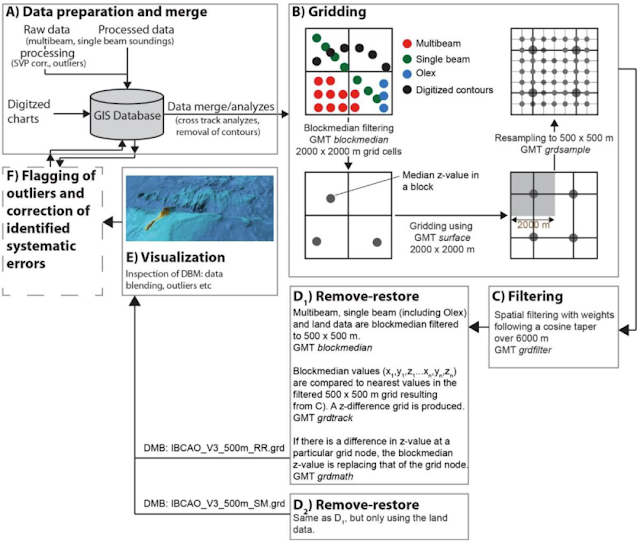 The technical procedure applied in the IBCAO project, from when data have been contributed by the involved parties through their Editorial Board representatives to the final production of gridded digital bathymetric model (here referred to as a DBM) representing the seafloor. The figure is from Jakobsson et al. 2012. That's where Seabed 2030 comes in. 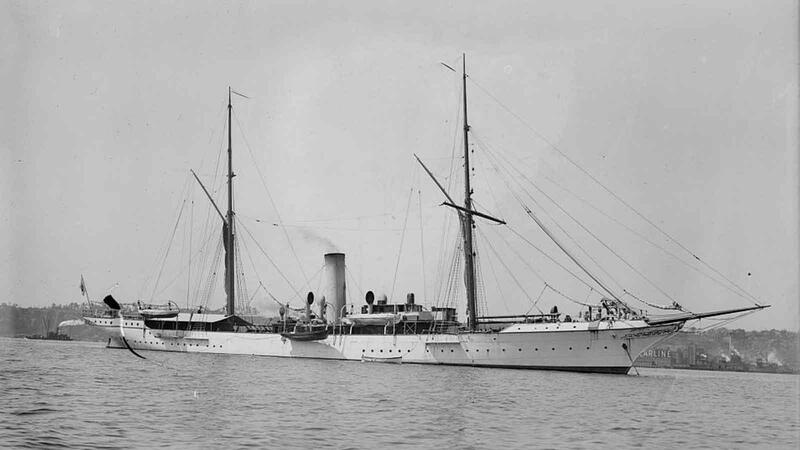 It will facilitate the collection of multibeam measurements on a coalition of ships charting previously unexplored territory, while also serving as a repository of existing map data. “When you look at a world map it seems like we’ve got it all figured out,” Jakobsson says. But those maps are just rough, artistic estimations of what the seafloor looks like. “I foresee a lot of new discoveries,” he says of the mapping project. After all, “our major discoveries have been because of mapping”—and there’s a lot more to be found. 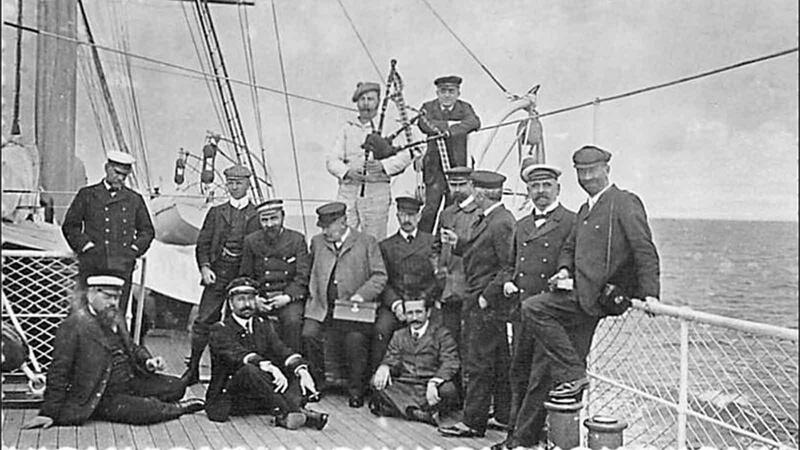 The discoveries lying in wait beneath the waves aren’t only of interest to oceanographers. Hidden in the subsea mountains and valleys are vast pools of resources like precious metals, rare earth elements and even diamonds. “It’s like the old Klondike [Gold Rush], but the streams lead to the ocean,” says Steven Scott, professor of geology at the University of Toronto and consultant to the marine mining industry. 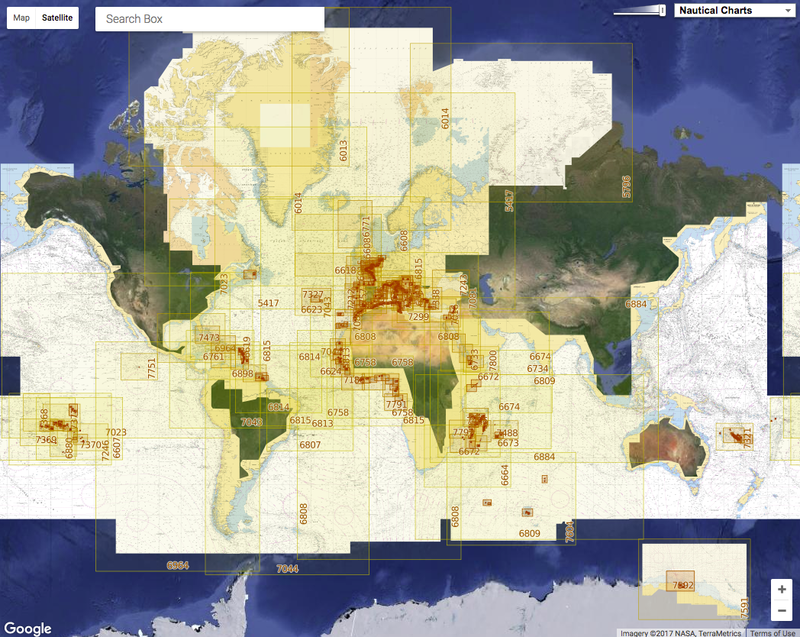 GEBCO 2014 bathymetric data coverage. At this scale the World Ocean appears much better covered with ship soundings than it is. The fact is that the available bathymetric data used to compile GEBCO_2014 provided depth control points to only 18% of all the 30 arc-second (926 m at the equator) grid cells. Currently, seafloor mining only takes place in these relatively shallow, near-shore locations, rather than in deep international waters. 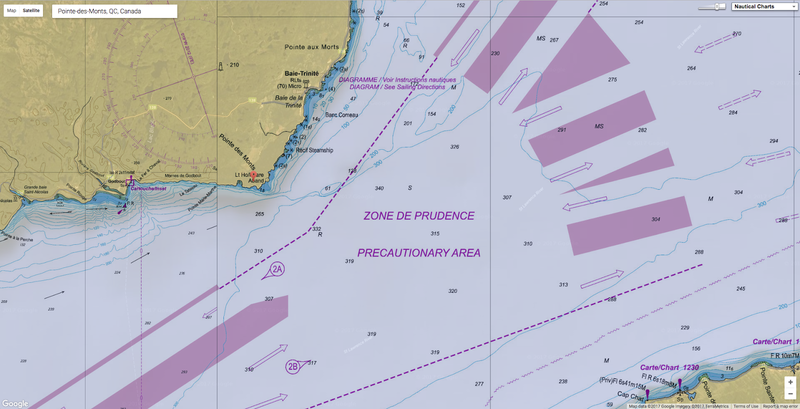 That’s partly because prospectors can’t target mining operations without accurate maps of most of the sea floor, but also because international laws make it challenging to exploit resources in international waters. “Seabed minerals and areas beyond national jurisdiction are part of the Common Heritage of Mankind,” says Kristina Gjerde, the high seas policy advisor for the International Union for Conservation of Nature. In 1982 the United Nations amended the Convention on the Law of the Sea that laid down rules to govern the use of the ocean’s resources. The law states that deep-sea life must be protected, and that revenue made from mining in the deep sea must be shared with the international community. “We know so little about potential environmental impacts” of ocean mining, Gjerde says. “Some are starting to question if we know enough to authorize mining to proceed. We really need a better understanding of the deep sea before we start to do any irremediable harm.” Gjerde is co-author on a recent editorial in the journal Nature Geoscience arguing that while deep-sea mining might fuel economic development, the industry should increase its efforts to protect marine habitats. This, say Gjerde and other concerned biologists, is the catch 22 of generating a comprehensive topology of the seafloor: It will undoubtedly help scientists better understand the rich and crucial geology of our planet. But it could also serve as a treasure map for the mining industry. Scott agrees that habitats around mining operations will be impacted. Still, based on his experience, he says, “I think [the effects] will be less substantial” than mining on land, which is known to have catastrophic environmental consequences ranging from acid mine drainage that pollutes water to toxic clouds of dust. “None of those things will be a problem in the ocean,” Scott says. The concept of an unmanned mapping barge, monitored by satellite communication and equipped with an ultra-narrow beam deep-water multibeam (left). Such a barge would be able to systematically map the deepest sections of the open ocean from the surface at even higher resolution than 100 x100 m.
The sub-meter level of detail sometimes needed to investigate small scale processes at the seabed is today only possible to achieve in the deep ocean using AUVs equipped with high-resolution high frequency multibeam systems. These AUVs would serve as excellent complements to the mapping barge, but their present endurance, cost, and swath coverage does not make them the tool for mapping the entire World Ocean floor. There won’t be any holes because the targeted resources are near the surface of the seabed, he points out. Dust isn’t a factor in a liquid medium, and alkaline seawater would quickly neutralize any acidic byproducts. Proponents of ocean prospecting also point out that we simply need the resources that are out there. “Mines on land are soon going to run out,” Scott says. Well, at least we’ve already got the maps for those. But back to the sea floor. As Ballard said last year at the Forum for Future Ocean Floor Mapping: “They tell children that their generation is going to explore more of Earth than all previous generations combined. 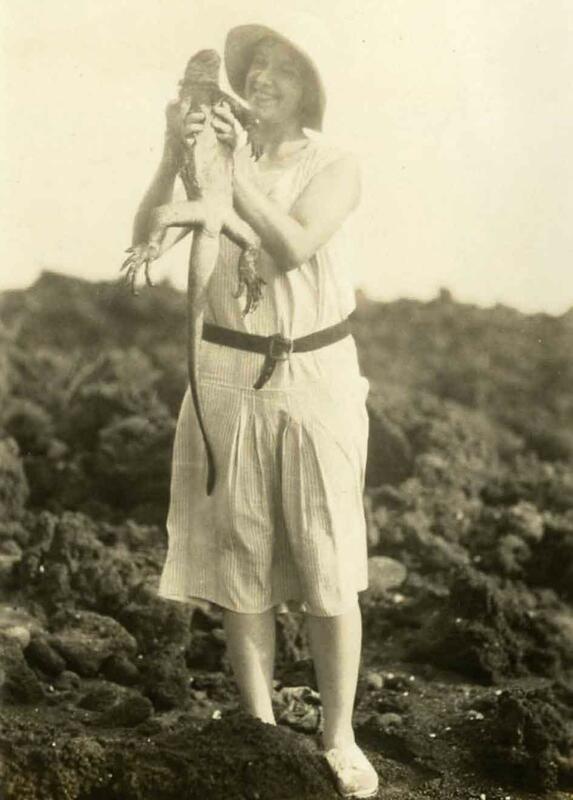 The question of just what kind of explorers those will be—those searching for knowledge or riches, seeking to preserve or extract—remains to be seen. Indonesia's Deputy Minister for Maritime Affairs Arif Havas Oegroseno points at the location of North Natuna Sea on a new map of Indonesia during talks with reporters in Jakarta, Indonesia, July 14, 2017. Indonesia renamed the northern reaches of its exclusive economic zone in the South China Sea as the North Natuna Sea on Friday, the latest act of resistance by Southeast Asian nations to China's territorial ambitions in the maritime region. 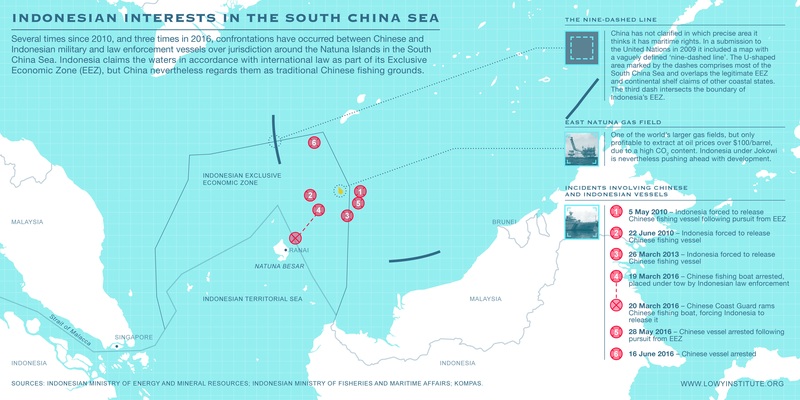 Several Southeast Asian states dispute China's territorial claims and are competing with China to exploit the South China Sea's abundant hydrocarbon and fishing resources. China has raised the ante by deploying military assets on artificial islands constructed on shoals and reefs in disputed parts of the sea. Indonesian Deputy Minister for Maritime Affairs Arif Havas Oegroseno (C) stands in front of a new map of Indonesia during talks with reporters in Jakarta, Indonesia, July 14, 2017. The new name is in line with oil and gas management activities in the area. Currently oil and gas exploration and exploitation activities at the area are using the name of North Natuna, South Natuna and North East Natuna in project naming. 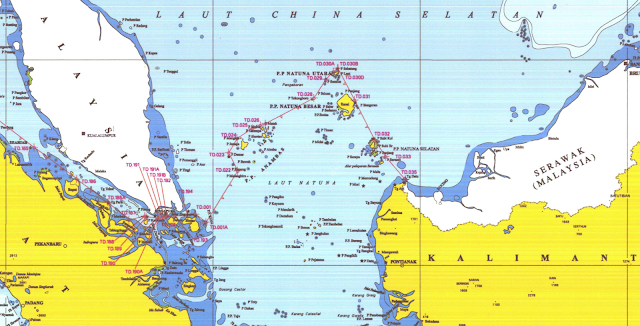 According to the 1953 edition of the map of Indonesia, the South China Sea is very close to Java sea territory. As considered to be old document, the government is updating the name for a number of areas in Indonesia. Havas said that the Natuna Sea name is used in 2002, although oil and gas activities in the area have used the name of North Natuna in the 70s. 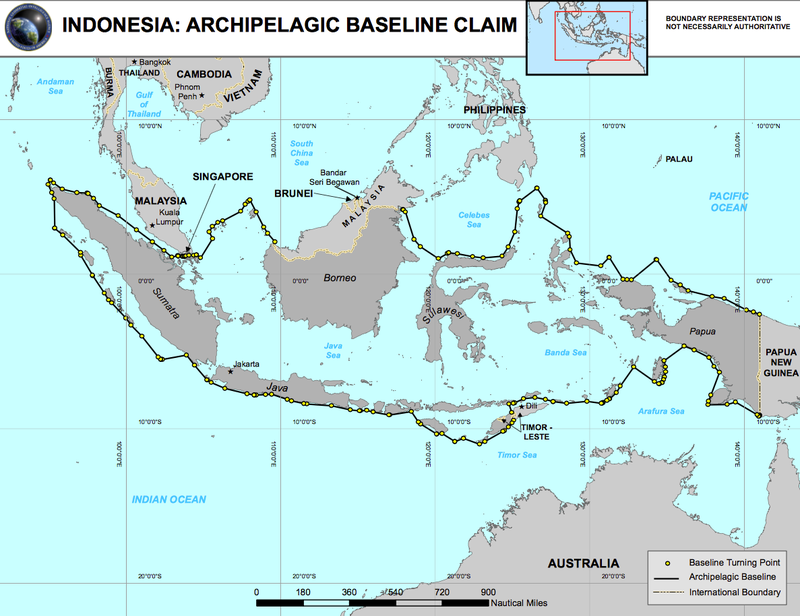 Havas added that Indonesia has the authority for naming the areas in its territory. 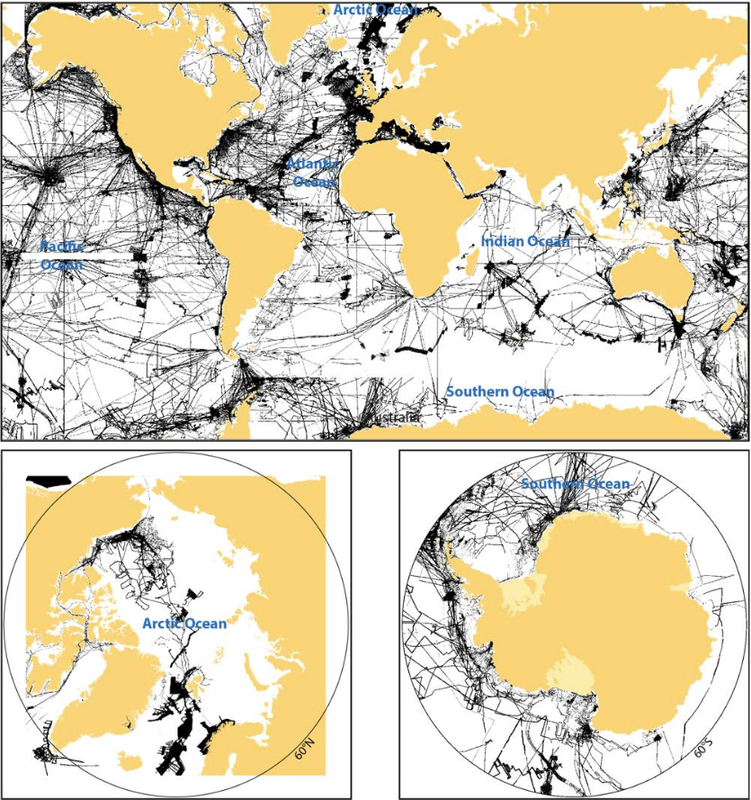 International recording will be processed by the International Hydrographic Organization (IHO). "Certain countries' so-called renaming is totally meaningless," he told a daily news briefing. "We hope the relevant country can meet China halfway and properly maintain the present good situation in the South China Sea region, which has not come easily." "It will be seen as a big step by Indonesia to state its sovereignty," he told Reuters. "It will send a clear message, both to the Indonesian people and diplomatically speaking." Last week, Vietnam extended an Indian oil concession off its coast while a joint venture led by state-owned PetroVietnam commenced drilling further south. 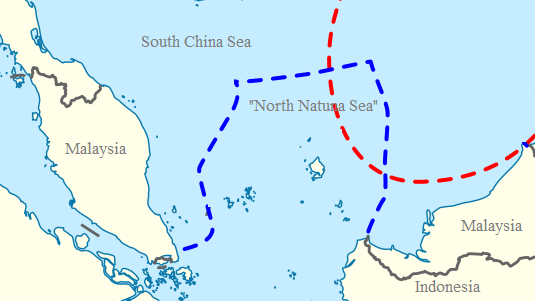 China has a territorial claim in both areas. Meanwhile, the director of the Philippines Energy Resource Development Bureau, Ismael Ocampo, said on Wednesday that the country could lift a suspension on oil and gas drilling on the Reed Bank by December. The underwater mountain, lying 85 nautical miles off the Philippines coast, is also claimed by China. Exploration activity was suspended in late 2014 as the Philippines sought an international ruling on China's territorial claim. The Philippines won the case in the Permanent Court of Arbitration in the Hague one year ago. China refused to recognize the decision. Philippines President Rodrigo Duterte, who took office on June 30 last year, expressed reluctance about enforcing the decision at the time, as he sought deeper diplomatic and economic ties with China. More than two dozen oil, gas and coal blocks, including additional areas in disputed waters, may be offered during the December bidding, Ocampo said.